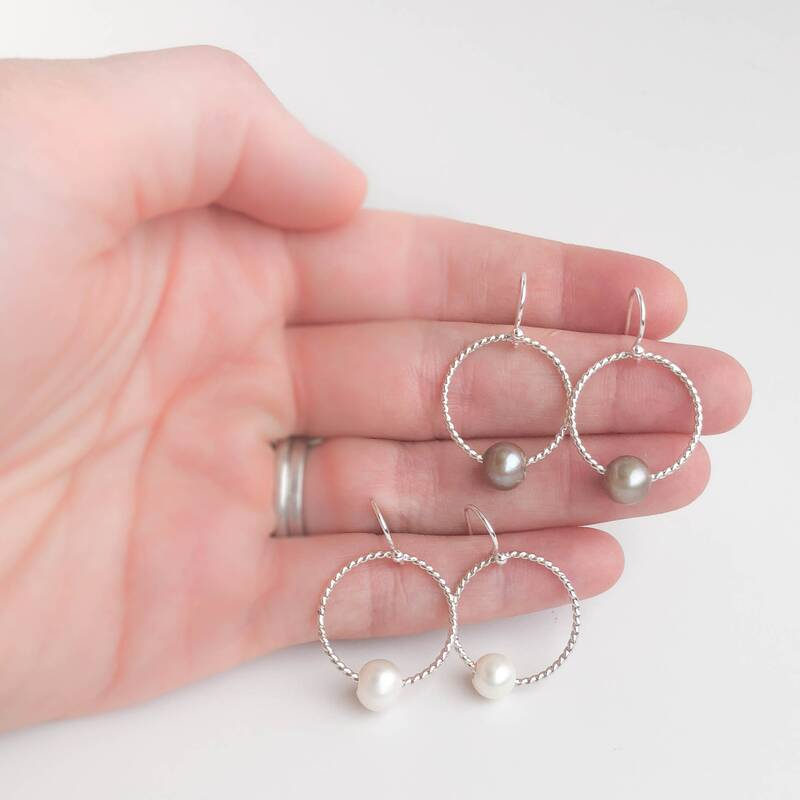 Handmade with nickel free sterling silver and natural freshwater pearls. 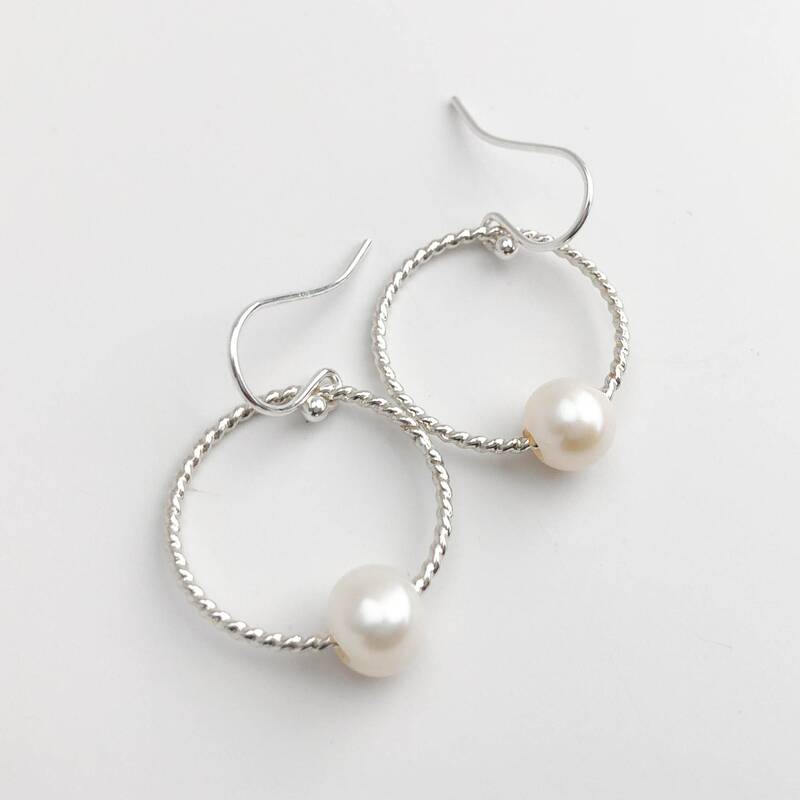 These dangle hoop earrings are designed to be lightweight and comfortable to wear. 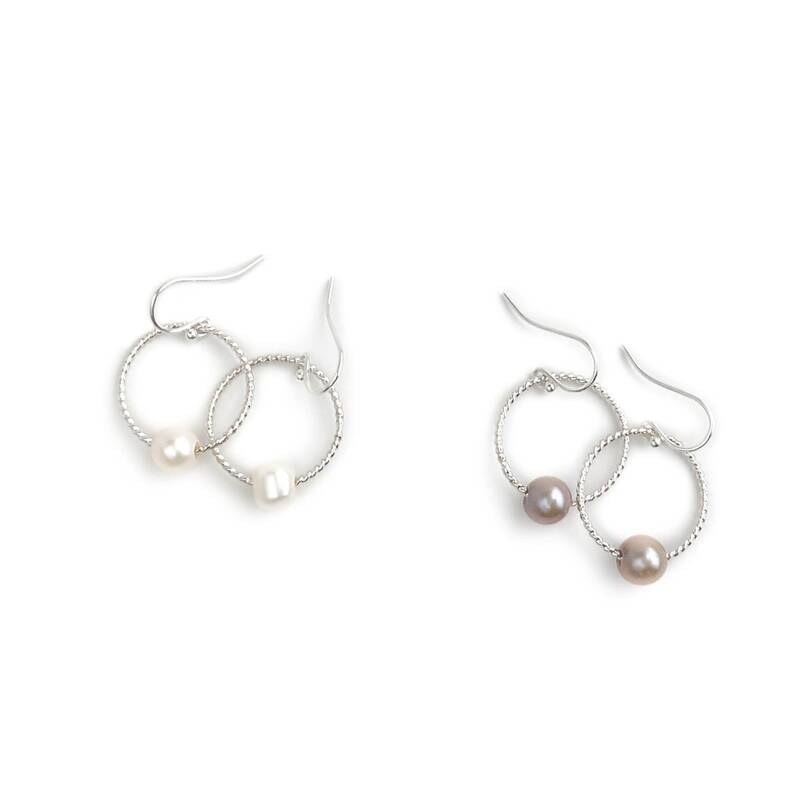 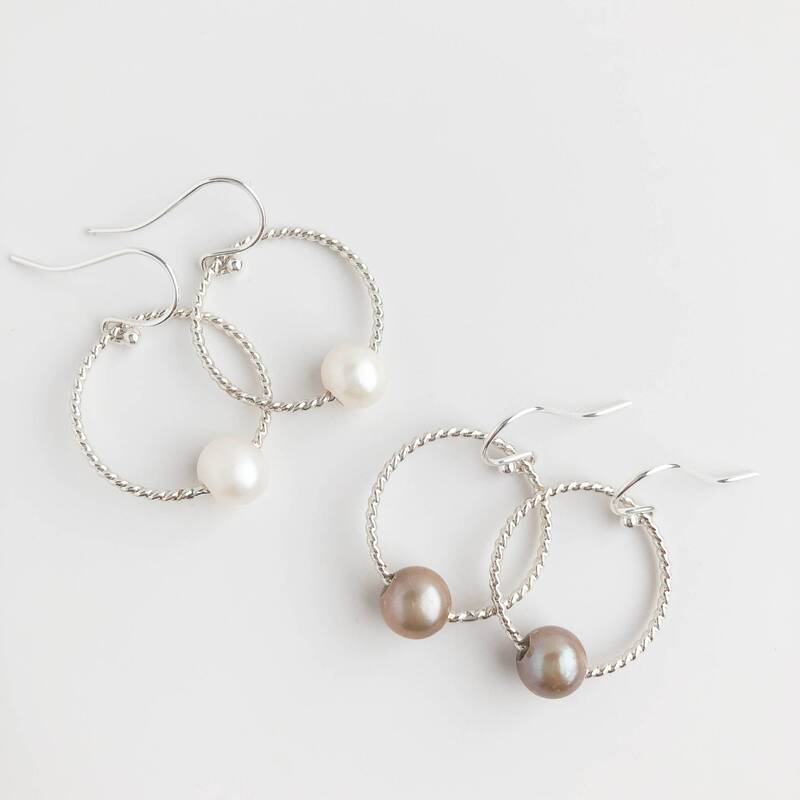 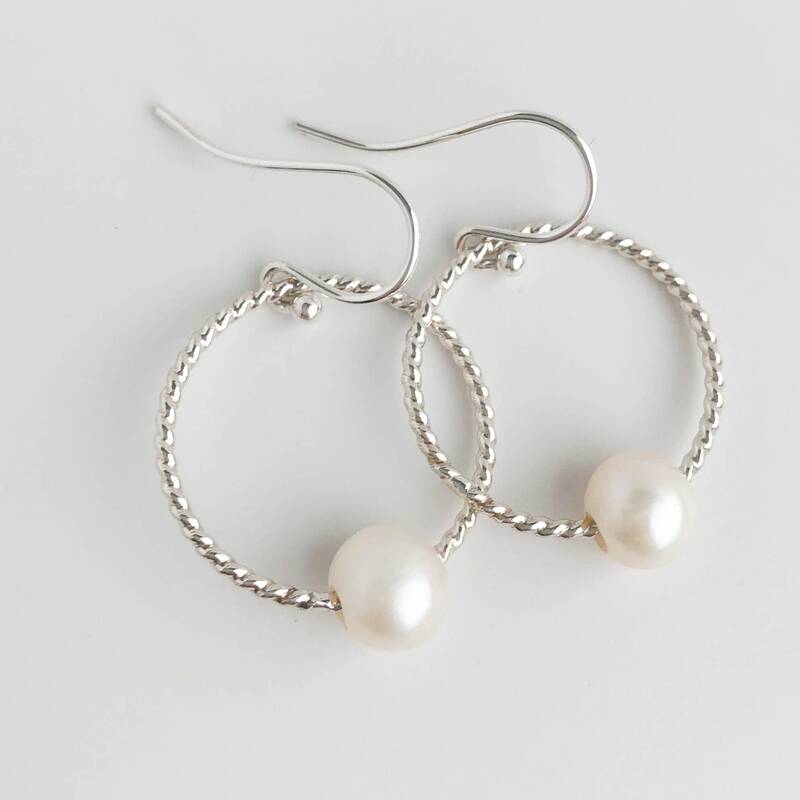 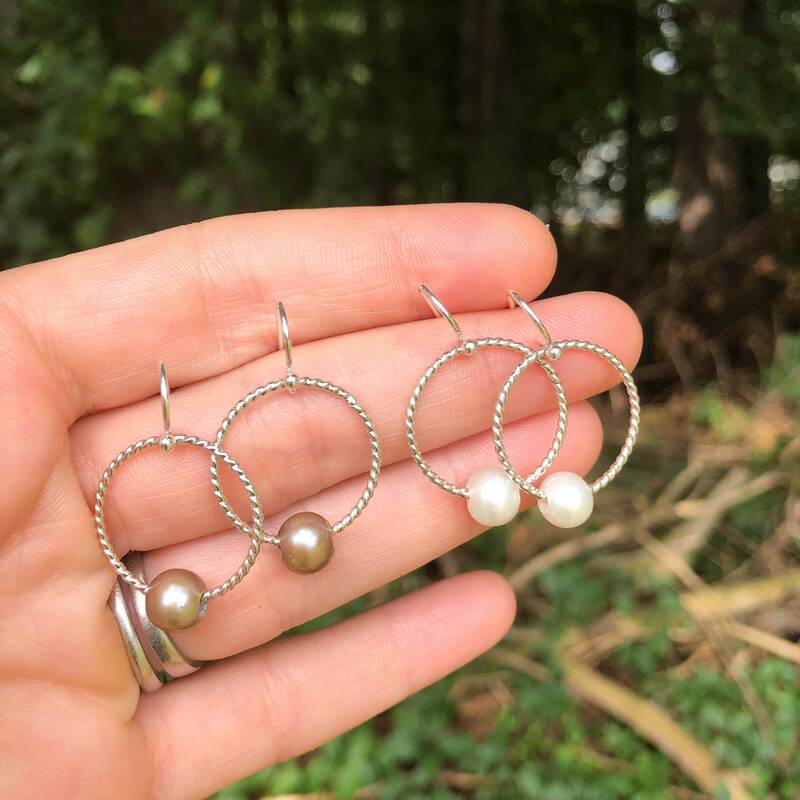 The twisted silver wire hoops are formed by hand, soldered around a sliding pearl and then polished to a high shine to catch the light just right.